This attractive dolphin is leaping up to celebrate great times with a friend in an exotic and memorable location. 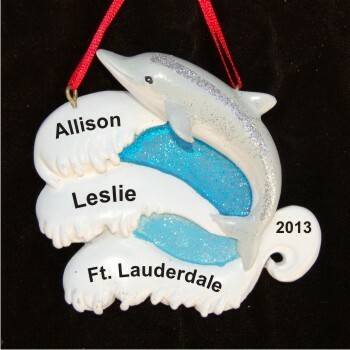 The 2 friends in the tropics personalized Christmas ornament works just as well for couples. Our calligraphers will hand-letter the details onto this gleaming white decoration with a splash of color, one of our travel & beach ornaments personalized just for you. 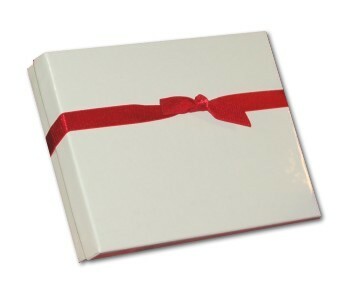 Having a 2 friends in the tropics personalized ornament produced for each one of you is made easier by this affordable price and made more special by our exclusive velvet gift bag. Christmas gift Dec 28, 2017 Cheri R.